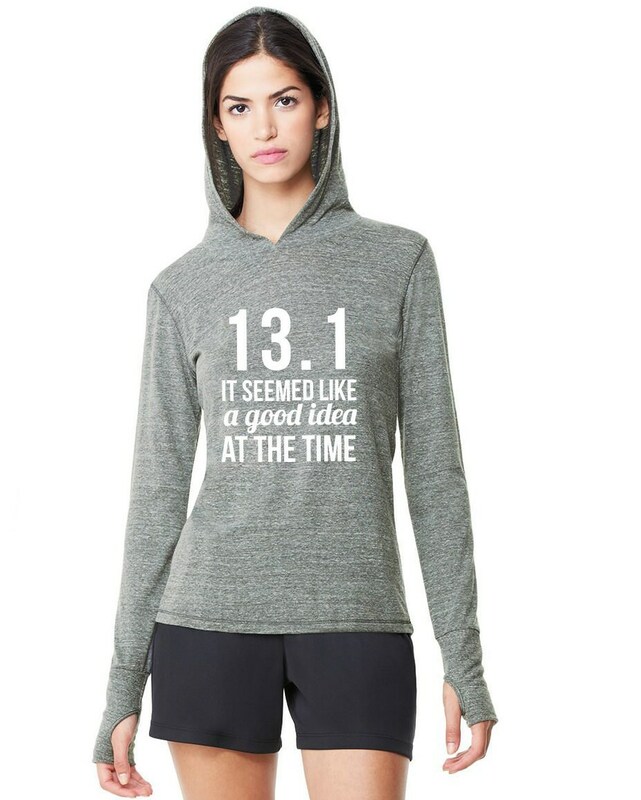 13.1 It Seemed Like a Good Idea at the Time Half Marathon Hoodies. This Ladies long sleeve tri blend pullover with thumbholes and hood is perfection! 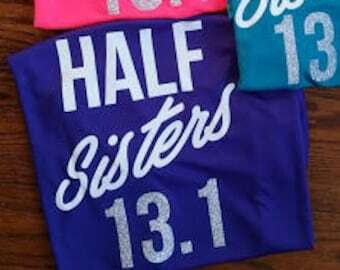 I am obsessed with any running shirt with thumbholes and this one fits great. True to size, comfy and stylish. Want a different one of our sayings on this shirt? Order this shirt and request the saying you want in the checkout notes. For best results hand wash or wash on delicate cycle and line dry. Received and very happy with my shirt..Thank You!